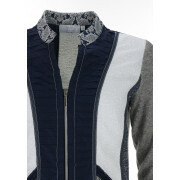 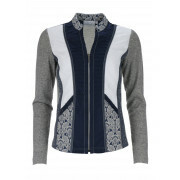 Quirky and eye-catching this lightweight cardigan from Just White would be a lovely update for your daytime collection. 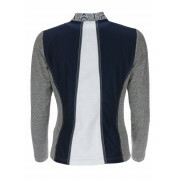 Wear with a plain top and straight leg jeans. 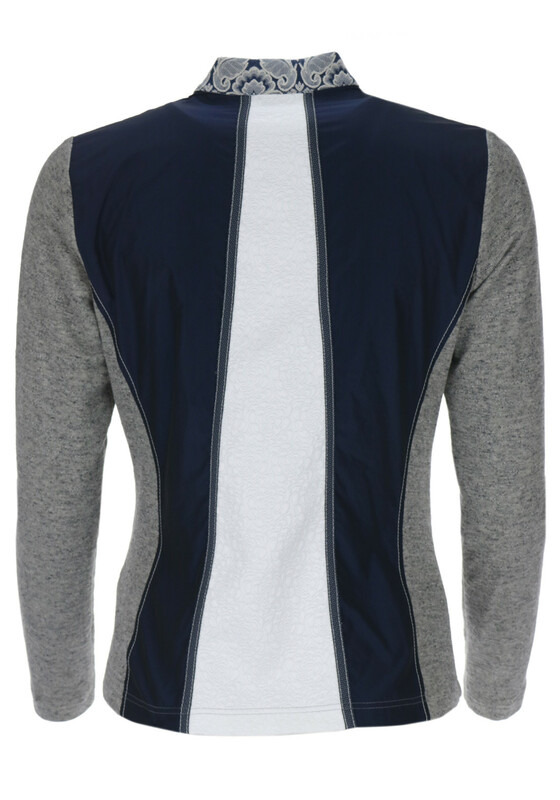 Designed with a figure fitting shape and featuring a zip front fastening. 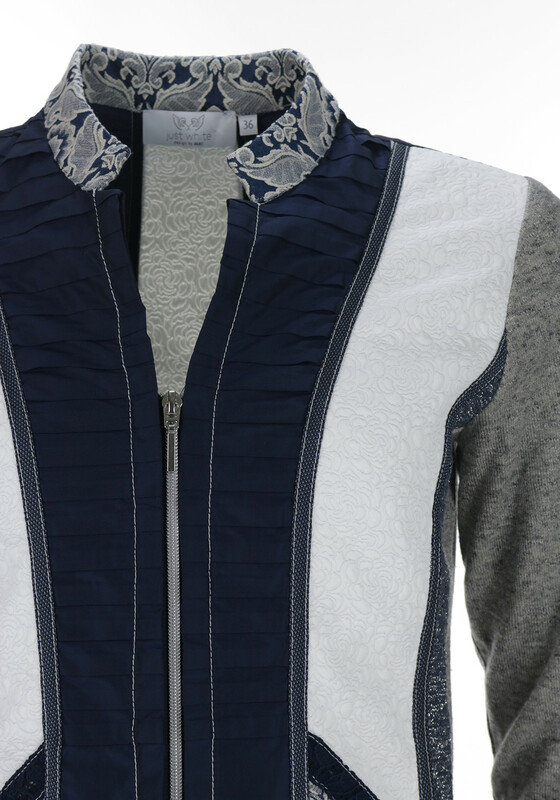 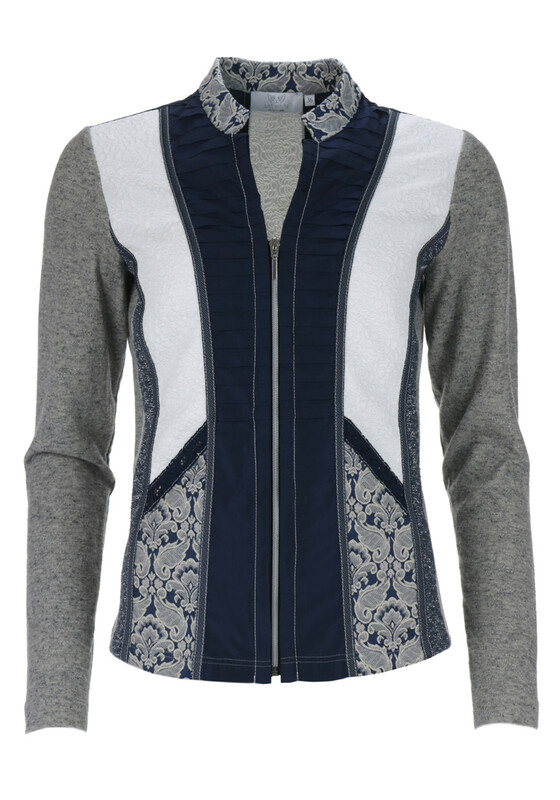 Crafted from soft and comfortable cotton and linen blend fine knit fabric with contrasting embossed and baroque printed panels on the front.